What was your toughest Problem to solve? Discussion in 'SiriusXM Install Bay' started by me_rubin, Oct 14, 2008. With all the experts now over at the DRC, we all have had interesting issues to solve with our Sat Radio's. Post your problem and how you solved it here. What makes the Stiletto switch from the Internal Antenna to the External one? I was trying to find a way to use a connector that I took off an XM radio, but when I connected the antenna to an external antenna, the Stiletto would not use it. 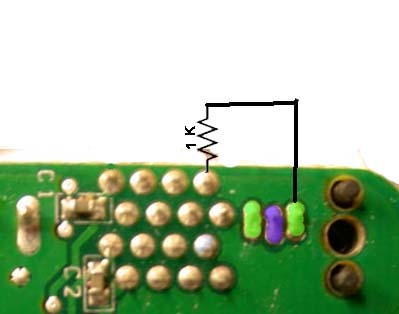 The SMB connector was connected to the Tip and shield, but it would not switch. To make it work, I found out that the radio needs a resister shorting between two pins on the connector to make this happen. 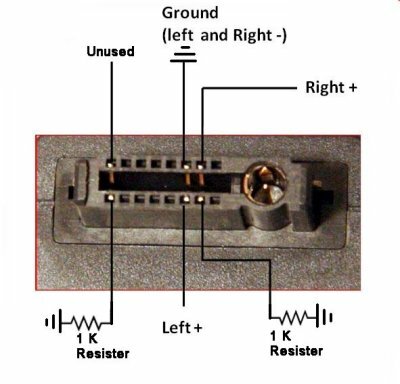 To figure this out, I took apart the headphone connector and mapped this out. For those that did not see this project, here was the original post back on the SBS. Great post! I wish I knew how to figure this type of stuff out. i like taking things apart but I always have extra parts when I put them back together. I think the toughest problems is reception rather home or car. In a car you have to figure out how to run that antenna wire and yet make it look clean. Many people don't even try and leave the antenna inside the vehicle. My experience is not good doing this. For home reception a lot of times it really does require an effort. I think many buy sat radio thinking they can just take it out of the box through the antenna on the bed and get a sat signal. Well as we all know it doesn't work that way. There are many that found you have to get that antenna outside with a clear view of the sky and at minimum on a window seal facing in the correct direction based on your location. I couldn't figure out how to turn mine on. Turns out you press the button that says "power" under it. My toughest problem has been getting clean reception on my XM in the home. I have only a distant repeater and have to tape the antenna to the window to get reception. My Sirius one is easier as it sits on the window ledge. My biggest challenge with it is to get my stupid cat from not climbing up there and moving it around. Another challenge I had was getting the Sirius volume through AUX to match the XM volume through FM on my clock radio. It would not have been possible until I discovered the front output on the SL2 home dock. Nothing as compared to the OP. No sodering was required to solve my problems. Actually I know many people don't know how to Shut Down their Stiletto. I know my wife had that problem just this week, and no matter how hard I tried to explain to her over the phone to hold the on button down, she could not do it she kept just putting it to sleep instead of shutting it down. Sometimes just labeling a button is not good enough. It's a matter of how you press the buttons. I am still having a minor issue with an older motorhome I just purchased. I am getting dropouts because of this antenna placement. I may have to purchase a semi-truck type mirror mount antenna. The rest of the body is made of aluminium. I bet you could put a big flat piece of steel on top of the camper. Ground it to the car. Then get a dot micro stuck to the middle of it and you would have all your reception bars solid. Or just use duct tape. Maybe a marine antenna would work. There is a new one that can moun pretty flush with the surface. My problem was figuring out how to listen at work without offending everyone buy listening over a boombox(Howard and Bubba). I work in a factory that requires me to be mobile as well which also made the boombox difficult. I ended up getting a FM transmitter from Ramsey that pretty much covers my whole shop and I listen over a regular FM headset. Greatest thing I ever did. Thats what I was thinking is just double it over and put it on the top and stick the car antenna to it. Probably the best way would be to get a Stiletto2 and record content at night and listen to the recordings during the day. I actually used to do that before I got my work setup. 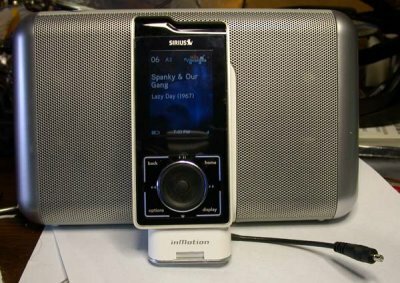 I had my radio plugged into my computer and would record it to MP3 and put it on my MP3 player and listen to it the next day. That is actually what I do right now. It works great for me. Yeah. That would be the best way I suppose. It's just that I wanted this man to have the live stream so badly. I think if I were him I would try to find a way to sneak an antenna into my desk somehow. Which leads me to a question.... Can I use a Echo signal repeater antenna with an Echo Repeater in order to extend the signal another 75 feet? Hmmm... I am now on the hunt for an open Echo Signal Repeater.